Another week, another impressive Lego Ideas project that needs your support. 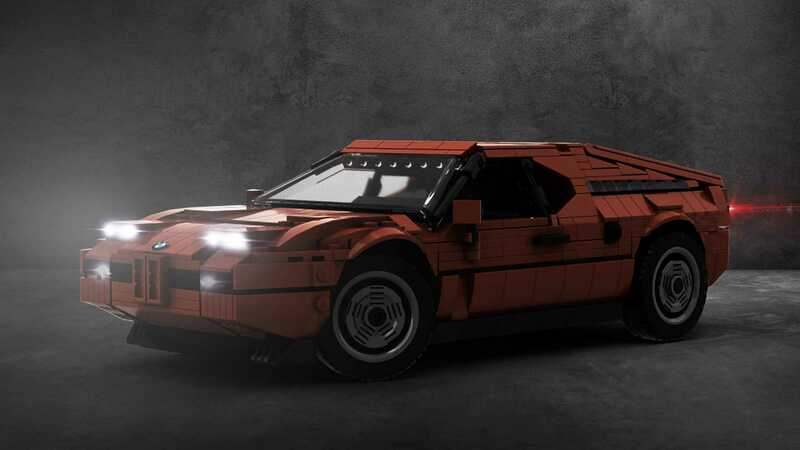 It’s a gorgeous BMW M1, the company’s first-ever production mid-engine vehicle, recreated in the world of plastic bricks in two different versions. Let us introduce you this promising project. It comes from a Lego Ideas user that goes by the nickname of Tomoell. This is his second project in the platform and is already enjoying strong support from fellow Lego maniacs. With 418 days currently left until the end of the campaign, his M1 has more than 500 supporters and needs another 500 to reach the next phase. This Lego version of the legendary M1 recreates all the highlights of the vehicle including the distinctive body shape and even the design of the wheels. The race car version is envisioned in a traditional BMW Motorsport livery and features an aerodynamic kit plus a large fixed wing at the back – just like the real car from the BMW M1 Procar Championship. The regular version of the scale model is made of 986 pieces, while the racing variant required a bit more – 1059 bricks to be more precise. Both replicas have openable doors and hoods, as well as functional steering. While these are still just virtual renderings, the creator of the BMW M1 Lego model needs support to make it happen in reality. Just like any other listing on the Lego Ideas platform, it needs to gain 10,000 supporters for Lego to consider it for production as a regular Lego kit. Judging by the tens of positive reactions in the comments section, reaching 10,000 likes is not impossible. Make sure to give your support if you like the project.